SAE J2716 SENT: Analogue Value Data Conversion - MACH SYSTEMS s.r.o. Updated versions of SENT-RS232 and SENT-CAN Gateways are available now. 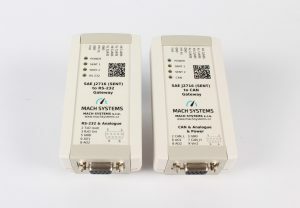 Apart from RS-232 and CAN bus interface, the SAE J2716 gateway newly offers two analogue output channels that can be directly mapped onto incoming data over a SENT channel. This enables a direct conversion of SENT data communication into an analogue voltage value. 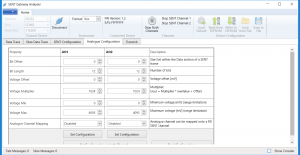 The two analogue outputs can be mapped on any SENT channel (SENT1, SENT2), and a signal position within a Data field of a SENT frame can be configured. This offers the user a possibility to convert data values from an inbound SENT frame into analogue voltage. A typical use-case is to connect a sensor with a SAE J2716 interface to a system which can work with analogue values only. By this, the SAE J2716 Gateway acts as a converter. The addition of analogue outputs has also been reflected in the PC “SENT Gateway Analyser”. It allows the user to configure analogue output channels. The Gateway communication protocol, which allows users to integrate the gateway into their systems over RS-232 or CAN bus, has also been updated. 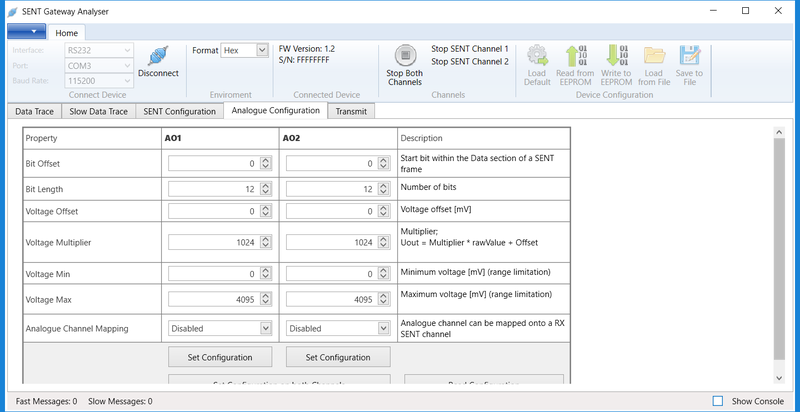 A direct conversion of SENT data into an analogue voltage becomes useful when the user needs to interconnect a device with SAE J2716 communication into a system which works with analogue values only.